Director Harold Cronk who garnered notice with films like God's Not Dead (2014) and God's Not Dead 2 (2016) made God Bless the Broken Road for release in 2016 but it didn’t hit theatres until 2018. 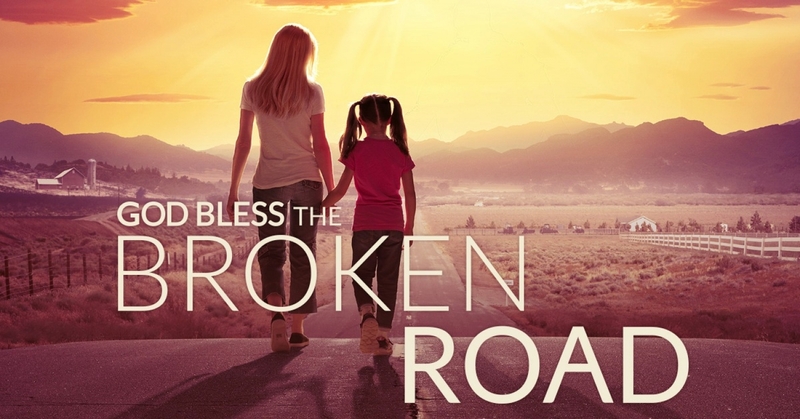 The film’s title comes from the song “Bless the Broken Road” written in 1994 by singer-songwriter Marcus Hummon with Jeff Hanna and Bobby Boyd from the Nitty Gritty Dirt Band and popularized by the country band Rascal Flatts in 2004. The song is about finally finding love after travelling through difficulties in life as God’s hand guides the way through the brokenness of the past into the happiness of the present. At one point in the film it’s heard briefly on the radio and is played over the closing credits. In many ways the song feels slapped onto the film and doesn’t play an integral part. Instead the film weaves a thematic, perhaps even parabolic, use of the “mustard seed of faith” from the Gospel of St. Matthew which better frames Cronk’s central point. The film, while better than God's Not Dead (2014) and God's Not Dead 2(2016), still suffers from melodramatic Hallmark Hall of Fame-style acting, writing and direction. There is a market for this style of filmmaking and some will enjoy it for its light simple approach and its lack of edginess. The subject matter however demands a more serious approach. For audiences looking for something more raw and realistic dealing with death, grief, and loss a film like Manchester by the Sea (2016) may better serve their needs. A less crass and possibly more powerful film on the topic is Shadowlands (1993) the C.S. Lewis biopic starring Anthony Hopkins as the author of the "Chronicles of Narnia" books and his short-lived romance and marriage to the American Joy Gresham and their family’s subsequent grief following her death from cancer.